XXI century – the age of cybernetics, telecommunications and information technologies. The most important condition for the transition to the information society is the training of personnel, both in the field of computer technologies and communications, as well as professionals who are able to apply them in the sphere of their professional activities. The sphere of their activity is the expansion of information networks into industrial enterprises, commercial structures, agriculture and medicine. For the first time in the South of Kyrgyzstan in 1992, on the basis of the Faculty of Information Technologies of the OshTU, the specialty “Computer Software and Automated Systems (CSAS)” was opened, and in 1994 the engineering specialty “Information and Measuring Technology (IMT)”, then in 1997 – “Communication Networks and Communication Systems (CNCS)”. The Faculty of Cybernetics and Information Technologies (FCIT) was created by the decision of the Academic Council of the OshTU №6 Prot.21. from March 31 of 2000 for the preparation of highly qualified engineers of programmers, signalers, circuit designers. Candidate of Technical Sciences, Professor, specialist in the field of optical information processing, holography, communications and location. The author of more than 0000 scientific, more than 0000 teaching methodical works and 00 inventions. -Digital television and sound broadcasting. Profile: computer software and automated systems. Intercultural communication and automated translation systems. To train students in specific disciplines are working highly qualified teaching staff, trained in the universities of Russia and in the CIS countries, which have scientific degrees, academic titles. Along with them, work the young specialists who graduated from OshTU and other higher educational institutions, who continue their studies in master’s course and postgraduate studies. In addition, graduates of the faculty successfully work in different industries and countries of near and far abroad. On the full-time department of the faculty, 297 students are trained, of them on a budgetary basis – 109 students and on a contract basis, 188 students. 112 students are enrolled in part-time courses using distance education technologies. The faculty has 18 laboratories and offices, 7 computer classes equipped with modern equipment, including a radio test site (P-18 radar and radiometric RSBN). All computers are equipped with multimedia support, which allows students to access the electronic educational resources of the university and the world. The faculty pays special attention to the development of educational servers and other Internet resources to reach the widest possible audience and to the progressive work on the creation of teaching aids, methodical instructions for some special disciplines, as well as the acquisition of modern technical literature and equipment for additional equipment of training laboratories. Widely introduced new forms of knowledge representation: interactive “living” texts, hypertexts, audiovisual media (three-dimensional graphics, multimedia components, computerized workshops). The faculty is a member of the Educational and Methodological Association of the Higher Educational Institutions of the Russian Federation for Education in the Field of Informatization and Telecommunications (Contract No. 63-01-EMA of 01.01.2004), which presents educational and methodological documentation on the specialties supervised by the EMA and handed over more than 40 curricula and working programs and more than 250 titles of educational and methodological literature. At the faculty, the laboratory’s own training stands for specialties”Communication Networks and Telecommunications Systems” and “Management and Informatics in Technical Systems” were made by their own efforts. The faculty has contracts with JSC Kyrgyztelecom, TCRL-No.1, Osh-3000, Kyrgyzaeronavigatsia, military unit 60229, Osh branch of NAC, where the students of the faculty undergo educational, occupational, industrial, pre-diploma practice. The faculty carries out research work on various international projects of MES of KR.The faculty has all the conditions for research and development in the direction of: “Telecommunications”, “Automation” and “Programming”. The faculty has repeatedly become the winner in the nomination “The best faculty of the year” held in OshTU on the results of work during the year. Management of complex technical processes and equipment technologies requires specialists, adequate level of professional training, education and culture. For this reason, for the first time in the South of Kyrgyzstan, an initiative was launched to create the Department of “Management and Informatics in Technical Systems” (MITS) at the Faculty “Cybernetics and Information Technologies” with the merger in 2007 of the departments “Automation and Information Measuring Systems” (AIMS) and “Computer networks and systems” (CNS). Taking into account the development of information technologies and the preparation of a new specialty, the IT&M department was transformed into the chair “Information Technologies and Management” (IT & M). To prepare the engineering specialty, the best specialists in this field were selected and new tasks were set for the introduction of electronic computers in the communications and telecommunications industries, the expansion of information networks in industrial enterprises, the introduction of IT into commercial structures, agriculture and medicine. Information technical systems on the basis of information technology and management tools, automation of various technological and production processes, instrumentation and automation equipment of large industrial enterprises, introduction of modern telecommunication systems will undoubtedly lead to optimization of planning, management of technologies and will provide prerequisites for increasing national income . 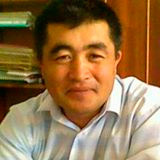 The department is headed by Doctor of Physical and Mathematical Sciences, Professor Satybayev A.J. The department has: 1 lecture hall (1/213), 3 laboratories (1/218, 1/006, 3/224), 2 computer classes (1/215 computer and systems modeling, 1 / 213a information security), 1 electronic library (more than 120 titles of educational literature and more than 22 virtual laboratory works). The Department of Information Technologies and Management is an educational and structural subdivision of the Osh Technological University. The activity of the department is regulated by the Charter of the OshTU. plans and organizes the scientific work of the faculty with the involvement of students. In the established order, he develops and approves individual plans for master’s and post-graduate training. Within the framework of the program “Information Systems and Technologies”, specialists are trained in the development and operation of information management systems and networks, their content and software; ways and methods of debugging and operation of software tools of corporate information and control systems in various areas of the economy: production complexes, administrative administration, telecommunications, science and education. Head of the department “ITM”, doctor of physical and mathematical sciences, professor Satybaev Abdygany Dzhunusovich graduated the Kyrgyz State National University with a degree in Applied Mathematics, a member of the doctoral council of the Institute of Automatics IT and KRSU, specialty 05.13.18 “Mathematical modeling, numerical methods and complex programs” , a member of the editorial board of scientific journals “Problems of Automation and Management” and “Science, Education and Technology.” Is the scientific adviser of applicants: Kokozova A.Zh., Anischenko Yu.V., Alimkanov A.A., under his leadership successfully defended the candidate’s thesis Kaldybaev G.A. and Mamatkasymov A.T., as well as the latest computer training classes I-5 were used, which are used in the educational process of the department, faculty. Satybayev A.J. developed working programs on the disciplines: “Computer Mathematics”, “Numerical Methods”, “Mathematical Logic and Theory of Algorithms”, for the new courses of IST Masters; introduced into the educational process of PC for robotics; issued methodical manuals “Computer and BASIC. Laboratory tasks “,” Practical work on mathematical programming “, which are used by students of all specialties for practical classes. He is also the author of educational and methodical manuals in the Kyrgyz language “Methods of Computational Mathematics”, “Sandyk Usuldar” for students of specialties of TCB, ICT. He is an expert in the field of information systems and geoelectrics. 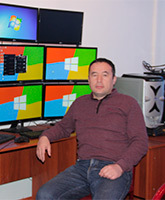 Senior lecturer Arykbaev Idris Mizanovich graduated from the Tomsk Polytechnic University of the Russian Federation with a degree in Automation and Telemechanics, a competitor in the Institute of Physical and Technical Problems and Materials Science of the National Academy of Sciences of the Kyrgyz Republic, an expert in automation, electronics, optics and neuroinformatics. Senior Lecturer, Master of Information Systems and Technologies Kokozova Ainagul Zhylkychyevna graduated from the Kyrgyz State University named after I. Arabaev with a degree in Mathematics and Informatics and a Master’s program at the Osh Technological University in the area of ​​Information Systems and Technologies, is a postgraduate student at the Department of IT & doctor of medical sciences, professor Satybayev A.J., specialist in the field of computer science and programming. Teacher Anishenko Yulia Vladimirovna graduated from the Osh Technological University named after academician M.M. Adysheva, majoring in Software for Computer Engineering and Automated Systems, is a postgraduate student at the Department of ITU at OshTU University under the supervision of Dr. Satybaeva A.J., a specialist in geoinformatics and computer programming. Head of the department Kutunaev Zholchubek Nasyrymbekovich, candidate of physico-mathematical sciences, docent (zh.kutunaev@mail.ru). On March 6, 1990, on the basis of the Ministry of Public Education of the Kyrgyz Republic, on the basis of the Osh evening faculty of the Frunze Polytechnic Institute, the department “Electronics and Computer Engineering” was founded, headed by cand. of tech. sciences A. A. Sarymsakov. September 9, 1997 the department was renamed the Department of Informatics and Computer Science. At this time the department was headed by the can. of ped. sciences, docent Nazarov M.M. On April 24, 2000, in accordance with the order No. 09-04 / 62 of the Rector of the OshTU, the Department of Computer Science was established. The department was headed by Mansurov K.T. until the year 2010. By order No. 09-04 / 125 of April 7, 2004, on the basis of Minutes No. 5 of the meeting of the Academic Council of the University, the department “CS” was renamed the department “CSAS”. Currently, the chair “CSAS” is headed by candidate of physic mathematical sciences, docent KutunaevZh. N.
The department has 1 lecture hall (1/213), 4 computer classes (1/204, 1/205, 1/207, 1/209) and a teachers’ room (1/206). And also on the department there are: 54 computers, 2 interactive boards, 2 TV sets and 2 projectors. The department “Software of Computer Engineering and Automated Systems” is an educational and structural subdivision of the Osh Technological University. The activity of the department is regulated by the Charter of the OshTU. development of the department as a center of education in the field of programming and computer science, ensuring the implementation at a high level of educational activities for the training of graduates with deep theoretical and applied knowledge and competencies in accordance with state educational standards. organization and conduct of scientific research on the profile of the department. The department “CSAS” is the issuing department and prepares the necessary and demanded personnel in the direction “Informatics and computer technology”. Currently, the chair “CSAS” is headed by candidate of physic- mathematical sciences, docent KutunaevZh.N. Head of the department, Candidate of physico-mathematical Sciences, docent. Graduated: Osh State University, 2003. The department “CSAS” is a specialized graduate of the technical department and graduates specialists in the field of “Computer science and computer engineering”, masters in the directions “Cartography and geoinformatics” and “Informatics and programming technology”. – the magistracy in the direction 520500 “Cartography and geoinformatics” was opened. As a result of work on the PROMIS project “Informatics as the Second Competence”, the Master’s Degree 544319 “Informatics and Programming Technology” was opened at the CSAS Department. Telephone: (03222) 4-33-95; Osh, str. Isanova 81. Department of Communication and Telecommunication Systems (CTS). With the increase in demand for the specialty “Communication Networks and Communication Systems” in the southern regions of the Republic, there was a need to open a department. On the basis of the order of the rector of OshTU from February 5, 2004, the Department of “Communication Networks and Telecommunications Systems” was organized and at this department head. The chair was appointed cand.of tech.sc., docent. Karimov B. Since September 2004 the head of the department. The department was appointed cand.of tech.sc, docent. Dzhumanov D.S. From September 2006 to the present time in the post of chairperson of the department is working cand.of tech. sciences, docent. Moidunov T.T. Currently, the Department of “Communication Networks and Communication Systems” (SSIST), having all the necessary for the training of personnel in the field of infocommunication, modern laboratories and computer classes, carries out the preparation of bachelors and masters in the direction 690300- Infocommunication technologies and communication systems. communication networks and switching systems. Пракические занятия и все виды практик проводится на учебно-лабораторных аудитория следующих предприятих города Ош: ООФ ОАО «Кыргызтелеком», ЮРУС ОАО РПО РМТР, сотовой оператор ООО «Sky Mobile» (торговая марка Beeline), сотовой оператор MegaCom (ЗАО «Альфа Телеком»), госпредприятия “Кыргызаэронавигация” Ошский филиал. Practical classes and all types of practices are conducted for educational and laboratory сдыыуы of the following enterprises in Osh: OOB “KyrgyzTelecom”, SBRCS (southbound radio control station) of RPO RMTR OJSC, cellular operator LLC Sky Mobile (Beeline trademark), cellular operator MegaCom closed joint stock company (CJSC Alfa Telecom ), state enterprise “Kyrgyzaeronavigatsiya” Osh branch. The creation and development of wireline and radio networks in the Kyrgyz Republic for the transmission of information was a top priority. Therefore, there is a steady increase in the need for specialists in this category who are engaged in the development, design and technical operation of telecommunications and information networks. In the training of specialists, the basic departments of the university actively participate. In the process of training, graduates gain knowledge of the construction of switching systems implemented on the basis of digital technologies, design and organization of integrated communication networks, where various digital and analog information is switched and transmitted through unified communications. Students who study in this field are more prepared to design and operate modern digital networks of various levels (corporate, regional, local, etc.). They are able to provide high-quality transmission of various signals using efficient and universal methods of packet switching. Teaching staff of the department and its numerous graduates, who were trained at the department, including writing diploma projects and qualification works, were and are direct participants and organizers of the development of infocommunication technologies and communication systems in our country at all stages of its development, as well as in near and far abroad. Teachers of the department prepared dozens of textbooks and teaching aids, a large number of patents and copyright certificates. 05.13.13 Telecommunication systems and computer networks. research works are carried out on the basis of the laboratory “Perspective infocommunication technology”. Head of the department: Moidunov Tayr Tolonovich, candidate of tech. sciences, docent (tayr.moidunov@mail.ru). Telephones: 0773248369, 4-35-39. Teacher of general technical disciplines and drafting. Teaching disciplines: Optical telecommunication systems, Telecommunication system guidance, Power supply of devices and systems of TCM, Designing operation of communication networks. The total number of publications (scientific-educational, methodological, educational, books, inventions) -8. Data on continuing education:: On 26-27.01.20017 the days passed the course by the accredited by the Accreditation Agency EdNet on the topic “Conducting a self-assessment of the university and writing self-assessment reports”, 10-28.04.2017. SMRS (south management of radio relay stations) days of RPA RRLTRB (radio relay lines for television and radio broadcasting) organized a course on “Digital TV Technology”, 2018 January 15-20 KR MES has organized a course entitled ““ Educational programs for cross-examination in order to carry out educational activities in order to learn the rules for meeting the requirements of licensed and accredited schools” . Saidamatov Shayyrbek Murzaevich – dean of FCIT, candidate . professor of OshTU. Engineer-radioelectronics. Phones: 0773587828, 4-35-15. Teaching disciplines: Theory of electrical circuits, General theory of communication, Fundamentals of network technologies in infocommunication systems and servers. The total number of publications (scientific and educational, methodological, educational, books, inventions) – 5. Data on professional development: passed the course by the accredited Accreditation Agency EdNet. Sopubekov Nemattila Abdillahatovich – candidate of technical sceiences. docent. teacher of general technical disciplines and computer science. Teaching disciplines: Digital signal processing, Digital transmission systems, Basics of building infocommunication systems and networks. The total number of publications (scientific-educational, methodological, educational, books, inventions) – 7. Data on professional development: passed the course of organized AAOPO. Ormonova Irsalat Abdrakhmanovna – docent of OshTU. Engineer-signalman. Disciplines taught: Switching systems, Communication networks, Electromagnetic fields and waves. The total number of publications (scientific-educational, methodological, educational, books, inventions) – 5. Data on professional development: passed the course of the organized “Kyrgyztelecom”. Matkalykov Aziz Momunovich– master, senior teacher. Electronic engineer. Teaching disciplines: Circuitry in TCM, Documentary telecommunication systems, Engineering and computer graphics. The total number of publications (scientific-educational, methodological, educational, books, inventions) – 4. Data on the improvement of qualifications: passed the course of the organized “Kyrgyztelecom”. Raimbek uulu Ergazy – master, art. prep. Electronic engineer. Teaching disciplines: Basics of building infocommunication systems and networks, Information security in communication networks, Networks and radio access systems. The total number of publications (scientific-educational, methodological, educational, books, inventions) – 4. Data on the improvement of qualifications: passed the course of the organized “Kyrgyztelecom”. Abdiraeva Nuripa Rakhmatillaevna – master, senior teacher. Engineer-signalman. Teaching disciplines: Theory of electrical circuits, Satellite RRS, Teletraffic theory. The total number of publications (scientific and educational, methodological, educational, books, inventions) – 6. Data on professional development: the program “Tempus”, organized by the OshTU program, was conducted. Matisakov Zhomart Kubatbaevich – master, senior lecturer. Physics teacher. Disciplines taught. Electromagnetic fields and waves, Electronics, Marketing in the infocommunication industry. The total number of publications (scientific and educational, methodological, educational, books, inventions) – 2. Data on professional development: passed the course of organized OshTU. Ormonov Myrza Rahmattulayevich is a software engineer. Binazarova Aigul Binazarovna is an engineer. Shermatbek gizi Nadira is a laboratory assistant.ment: passed the course of organized OshTU. Computer technology and information technology. The fundamentals of building infocommunication systems and networks. Power supply of TCM devices and systems. Radio access networks and systems. Information security in communication networks. Fundamentals of network technologies in infocommunication systems and servers. Designing the operation of communication networks. Guides of the telecommunication system. Phone: (03222) 4-35-39; Osh Street. Isanova 81. The chair “Computational linguistics” is the graduating department on the specialty 531200 “Computer linguistics”. The normative duration of training is 4 years. The department has been functioning since 1997 based on the Department of Translation and Translation Studies. The chair was headed by prof., Ph.D. Nazarov A.P, docent of OshTU Gelmanova M.R, docent of OshTU Isakov S.I, cand.phil.sciences Shamurzaev A.Zh., senior teacher Kulubekova A.O. Now the department is headed by A.M. Shermatova, Master in the direction of Philological education. The department conducts disciplines of a theoretical and practical nature. The content of theoretical courses is related to the problems of general and comparative linguistics, literature, and due to the study of phonetics, vocabulary, word formation, morphology and syntax of the English language. The theory and practice of translation deals with the problems of translation from English into Russian, Kyrgyz and vice versa; the methodology of teaching foreign languages ​​in the university deals with the problems of teaching a foreign language with a language audience. These directions are developed in the work of graduate students and competitors of the department, scientific articles and works of teachers of the department. The following disciplines are taught: “Practical course of speech communication”, “Practical course of the studied language”, “Stylistics”, “Lexicology”, “Theory and practice of translation”, “Operating systems”, “Database”, “Computer and business language.», «Modern English», «Computer Networks and Telecommunications», «Fundamentals of Computer Linguistics and Intercultural Communication “,” Discourse in the aspect of translation», «Introduction to Linguistics», «Expert Systems”,” Introduction to Computer Linguistics “, “Speech Informatics”, “Algorithmic Languages ​​and programming “,” Multimedia programming technology “,” Discrete mathematics “. 2 masters of philological education, 3 masters in the direction of informatics and programming technologies, 2 senior teachers, 1 laboratory assistant and 1 software engineer. development of scientific and innovative technologies in the teaching of computer linguistics and foreign languages through the use of automated processing of various types of materials. The department is proud of its alumni, who work in international organizations and projects, in education and business, public and private sectors. For example: Myrzalieva Ainura deputy director of the educational institution “Secom”, Tazhikova Zamira and Satybaldieva Chynara are working in OshTU, Altyn Kadyrov is deputy director of the international firm “ACTED”, Ulan Eshmatov is the leading specialist of Aga Khan, Talant Aldashev is the chief economist of the Aga fund -Hana, Aselya Burkhanova -English Specialist of the United Nations,, Emilbek uulu Sagyndyk – the coach of the Youth of Osh volunteers club, the coordinator of the youth initiative group CAP, Musaev Tynar, the director of the Central Asian Water Alliance, Aidin Alimbekovich Nazekov-USAID etc. The department successfully cooperates with international organizations and universities: with the University of Honam (Korea), with the University of Zheioni (Korea), with the University of Chinzanya (China), students are exchanged for six-month and annual internships. Students, thanks to well-established connections, get the opportunity to practice in such organizations as MTC “Munduz-Tourist”, Aga-Khan Foundation, SECOM, USAID, TES Center, YOUTH of OSH, CAP, UN and so on. The work of the department is conducted according to the approved plan. There are plans for the work of the chair’s meetings, the work plan of the Methodological Council, educational and methodological work, research work, open classes, mutual visits of teachers, analyzed in the Journal of Visits. The department employs teachers who perform basic theoretical and practical linguistic disciplines. Practical courses set the task to instill the skills of practical knowledge of a foreign language, moreover, they are conceptually built on the basis of general and comparative linguistics data, the theory of speech activity, psychology and pedagogy. Teachers of the department perform educational and methodological, research and educational work. At present, various types of joint-stock companies and companies often operate with the participation of foreign capital, joint ventures, private companies, various investments and credits are attracted to the country, new technical equipment, communication systems and computers are introduced, new technologies are mastered, etc. In this regard, the department prepares specialists of the proposed profile. Material and technical base of the department. 2 / 102a – the audience of the “English language” – respon. senior teacher. Kudaiberdieva A.I. 2 / 101a – the audience of the “English language” – docent of OshTU. 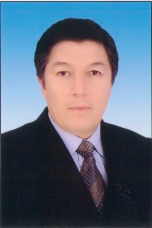 Shamurzaev A.Zh. 2 / 101b – the audience of the “English language” – respon. senior teacher. Dzhusueva A.A.
2 / 102- the audience “Computer class” – responsible. M. Astanova. 2 / 310a – the audience of the “English language” – respon. docent of OshTU. Isakov S.I. 1/408-audience “Language Laboratory (ITLL)” – respon. Mamatkulova Zh.A. 1/405 – the audience of “English” – responsible docent OshTU Shermatova A.M.
16 articles, 3 teaching aids. Excellence in Education of the Kirghiz SSR-1985. Honorary Diploma of the Supreme Council of the Kirghiz SSR-1985. Order of Friendship of Peoples of the USSR-1989. Gratitude of OshTU-1998, 2011. Honorary Diploma of the City Hall of Osh-2009. 30 articles, 3 teaching manual.